We have rounded up the best bike lights you can buy right now. No more waiting for new technology, the future is now! 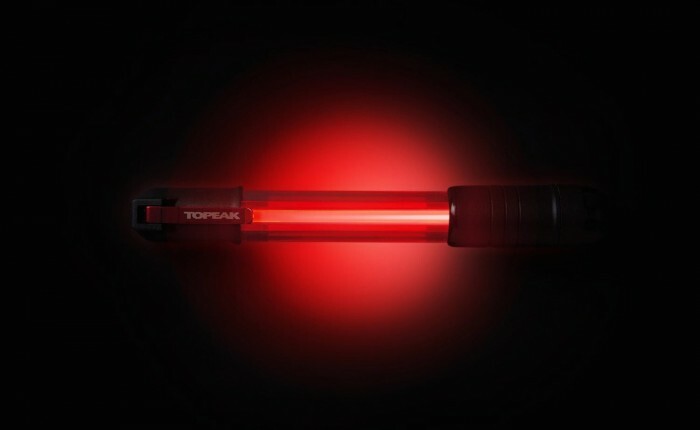 With an emphasis on safety, these cool bike lights will light up your ride, and score you life points that should keep you alive a little longer. Here’s our list of the top cycling lights for night riding. This bike light was designed with visibility in mind, and not just the linear light given from a traditional front or rear bicycle light. 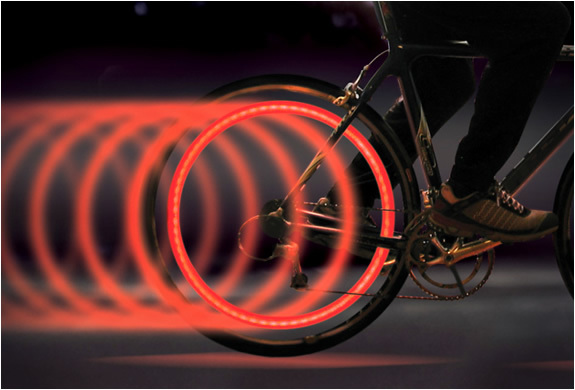 The Orfos Flare emits light 360 degrees around, lighting up the bicycle and giving forewarning to drivers planning to change lanes to stop them taking you with them. 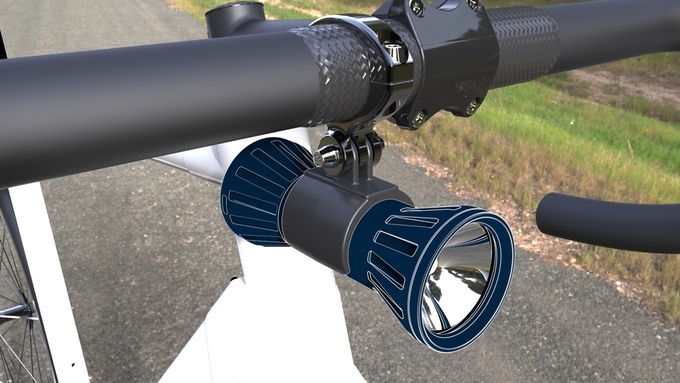 With 500 lumens up front, and 300 in the rear, The Orfos Bike light mounts magnetically to the frame allowing for easy removal, and it’s LifePO4 battery means it will run through 3 x more charging cycles than it’s lithium Ion cousins. Equipped with 5 ‘extreme bright’ LEDs the laser lanes can be turned off and it will still function as a standard rear light. 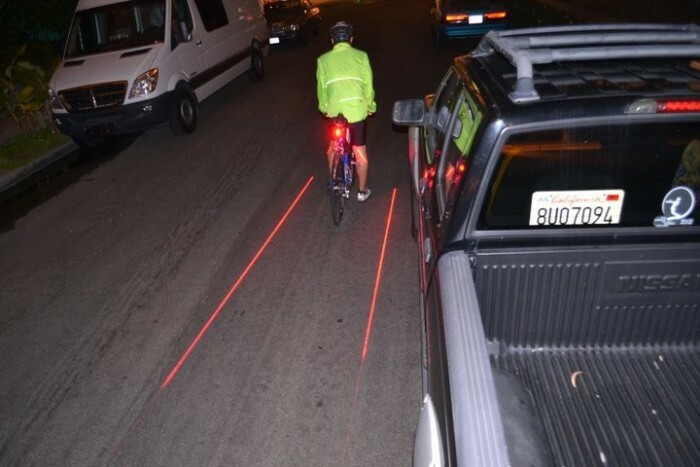 Although the laser bike lanes won’t physically protect you from moving vehicles, it does provide a clever guide to drivers about how much room to leave you as they belt past. This is as about as close to being in the movie Tron as you are going to get. 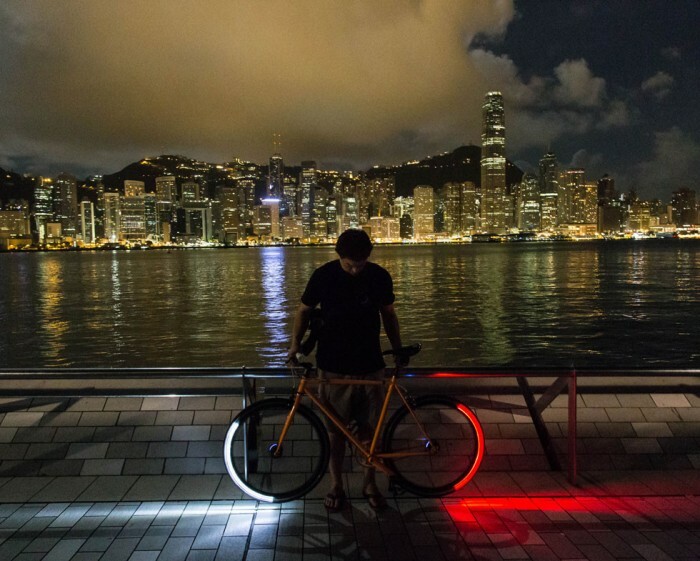 The Orfos bike light is definitely the brightest, but the RevoLights take visibility to the next level by incorporating into the wheels of your bike. The future is now! An accelerometer programs LEDs on the fly creating two fluid arcs of light that illuminate the front and rear of the bike no matter how fast (or slow) you are game enough to go in the darkness of night. Revolights aren’t a snap on deal so check the fit guide on their website. Lumigrids projects a flat laser grid out ahead of the rider, when a deformity in the road approaches, the grid changes shape mapping out the obstacle allowing what might not have been seen at night to stand out. 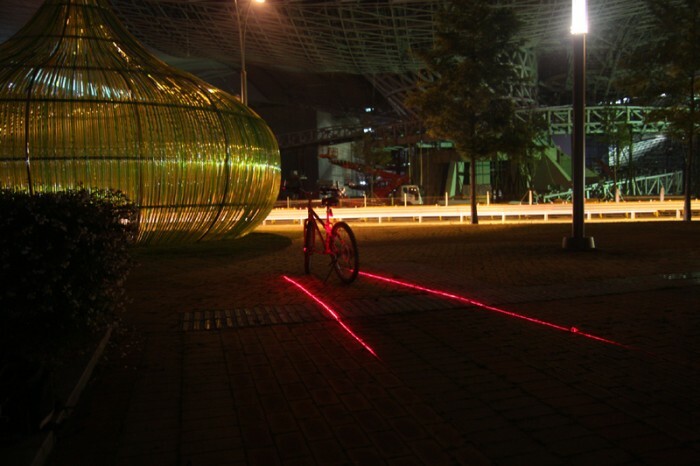 With three different modes, the laser grid spreads out into three different sizes small, large, and team riding. 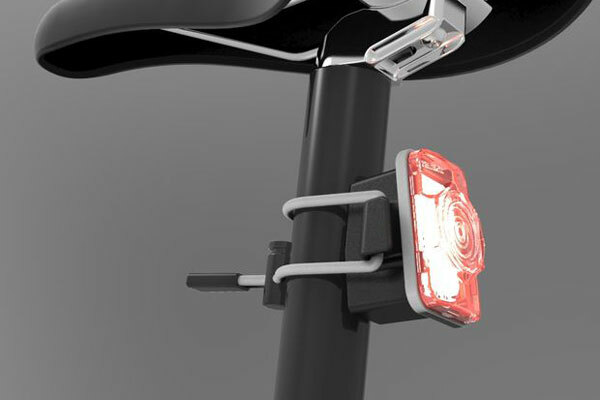 This cool bike light idea came from a team of Sichuan researchers, who won a prestigious RedDot award with its clever design. Unfortunately that was in 2012, and the concept never became a reality for the Tron fans among us. Unlike the Lumigrid, this projection light is one you actually can buy. Blazelight cleverly throws a pictogram of a bicycle far ahead of the rider adding to their road ‘footprint’ and hopefully letting drivers know there is a human in their blind spot. 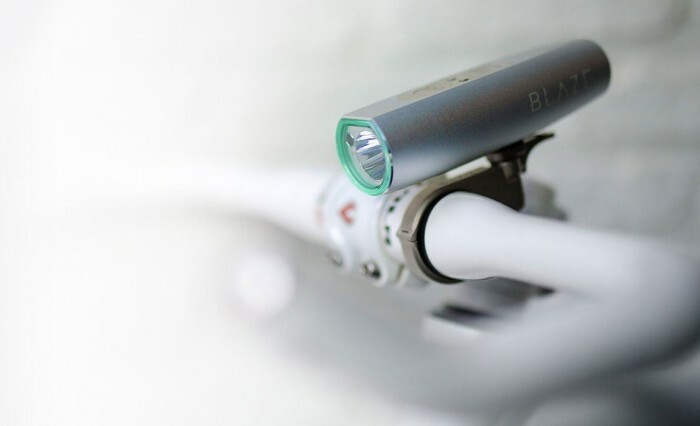 Made from aircraft grade aluminium, the blaze cycling light is USB rechargeable via two magnetic pins (think MacBook Charger), and is waterproof up to a meter. Although we aren’t sure just when you plan on testing that out. The light outputs 300 lumens and can be operated independently from the laser projection. 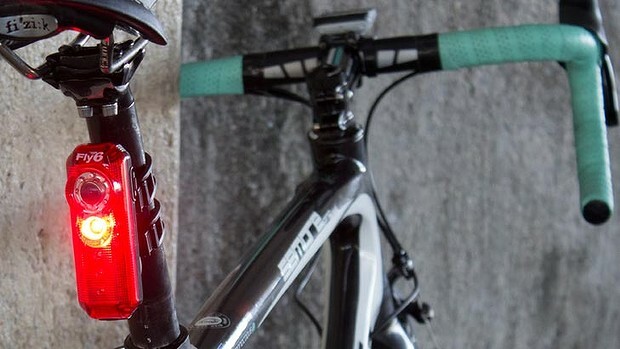 Another RedDot winner, this cool bike light functions as not only a rear bicycle light, but as a presta valve tyre pump in case you get a flat out on the road. Another great design for a wider range of visibility, the pump’s body lights up thanks to two super bright LEDs that will “pump” out light for 50 /100 hours (solid/blinking). Keeping your carry to a minimum, the rocketmini’s light will probably be most handy when you actually have to change your tyres, with its cool design reminiscent of camping lanterns, and mechanics lights. We’d like to think all of the bike lights featured in this guide are safe, however SeeSense has to be one of the safest and best bike lights of the bunch. This bike light incorporates a sensor in it’s design, so it knows when it’s important for you to be seen and commands drivers attention by hammering out it’s brightest light as they get closer. The cool thing about it’s decision making is that when you aren’t punching light into drivers faces, the lights operate at a lower brightness keeping run time at it’s longest. The SeeSense projects light out at 180 degrees and is USB chargeable, holding on to your frame with strong silicone snaps. When driving, it is nice to be alerted to other users of the road, but quite often at the despair of your retina’s as headlights of bicycles and cars alike take to using those newer LEDs that plot to burn their way into your brain. 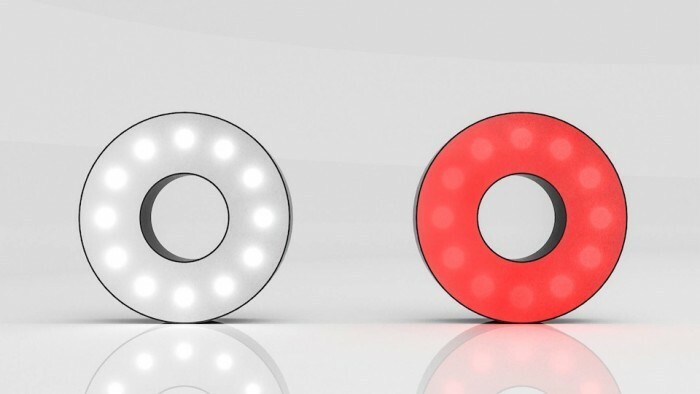 Double O bike lights tackle this problem by creating the same amount of light, but avoiding blinding other road users by spacing their LEDs further apart. The USB rechargeable lights attach to your bike frame with a hardwearing strap and when your ride is over clip together magnetically. Allowing you to thread your bike lock through them and leave them with your ride without fear of them being lifted. 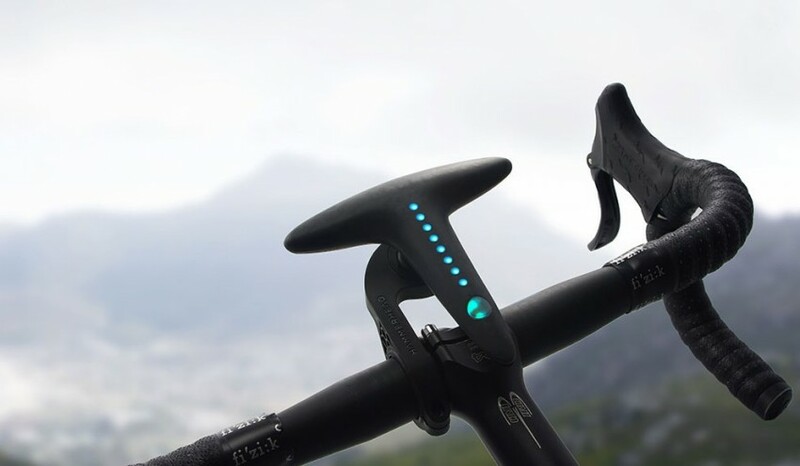 The Fly6 by Cycliq is designed to catch not only other driver’s eyes but there whole face, car, and most importantly registration. 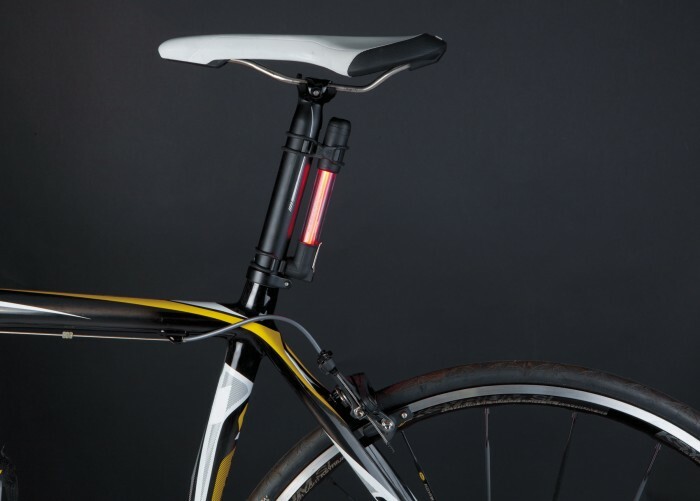 This cool bicycle light turned HD camera runs for 6 hours per charge so it will be ready to roll whenever you are. These days anyone serious about being safe on the road can’t afford not to get a hold of a bike camera. The Fly6 ships with an 8gb SD card, though you can easily up it considering how cheap memory is these days. Fly6 adds a nice piece of insurance in it’s camera offering, just in case a bright red flashing bike light isn’t enough for other road users. If you feel like scaring yourself out of riding ever again check out their youtube channel. Definitely one of the best bike lights you can gift to a minimalist, the lightskin bicycle seat safety light does away with external clip on lights that add bulk to your ride. 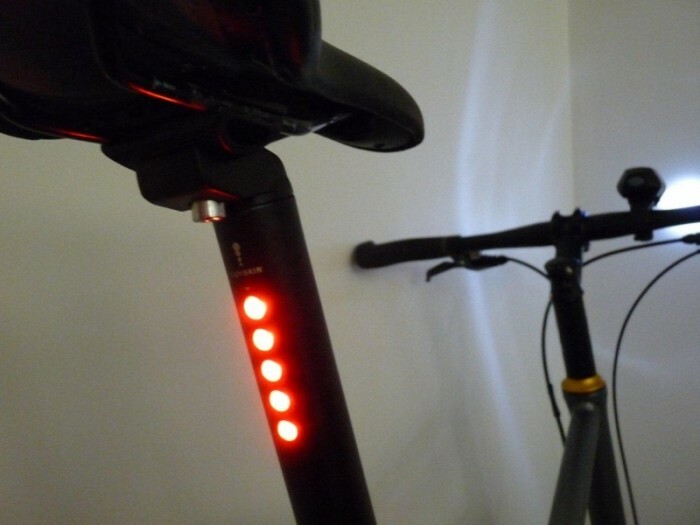 Featuring 5 inbuilt LEDs the seat post remains fully adjustable and will fit any standard rail saddle. Powered by two AA batteries the design does unfortunately get blocked by saddlebags. Even though this one is another Red Dot winner, it’s probably best as an ‘always there’ backup. And just think, if it wasn’t for this slimmed down to nothing design, you might have had your lights flogged waiting to be sold back to you at your nearest pawn store. If your not up for computer programmed LED flashing patterns on your wheels, then a pair of these won’t set you back much at $9 a pop, they are a cheap option to get you more sideways visibility when out riding. We included them in the best bike lights guide because although they won’t pump out tons of light and definitely aren’t a replacement for your standard lights; we think they would be cool bike lights to give younger riders, keeping them safe on the road. 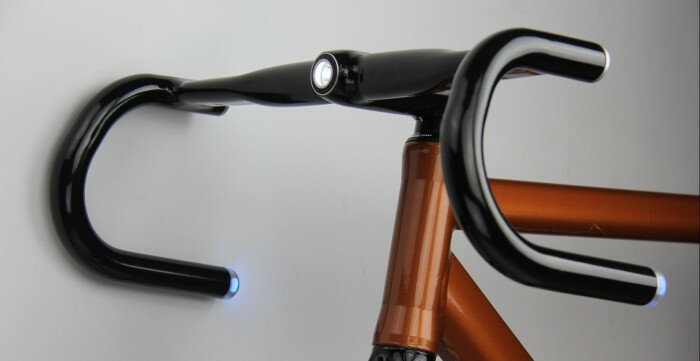 This bicycle accessory is more gadget than bike light. It’s a new idea pairing your with your phone giving hands free turn by turn GPS navigation. Not only is it a great way to get from point A to point B, it taps right into the cycling community, allowing you to both take and share great rides that you find around your city. Using RBG LEDs The centre array indicates distance to turns, while the top two arrays give the heads up on whether you’ll be making a left or right. Aside from the incredibly simple navigation displays the Hammerhead happens to do double duty as a bike light, and with 10 hours of battery life even with the GPS signalling on this is a piece of tech you will want to pre order. Also jumping on the smart GPS bandwagon the helios bar offers turn by turn navigation through use of it’s hardwired handlebar lighting. 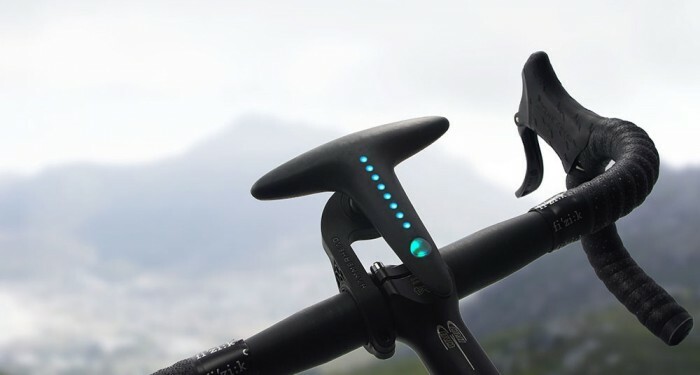 The standout difference from the Hammerhead is that other than being built into your bike’s handles is it’s blinker system that will let the cars behind know that you are making plans to turn. You have to remember it’s a little hard to see a hand being thrown up in the dark. The handlebars also operate on proximity so if you move out of range the system will shut down automatically. The forward light casts 500 lumens of illumination ahead for up to 10 hours on a single charge, you’ll just have to bring them / your bike indoors when planning on recharging it. This bad boy promises 1800 lumens of CRI-LED illumination. The CRI stands for color rendition index, pronounced ‘Cree’ this bike light’s high rating means the broad beam cast from this power pack will look closer to sunlight. Weighing in at 190g the IndiGlo 5 has five lumen modes to run through Pulse, 300, 600, 1200, and boost an 1800 lumen output that allows for riders to bomb down hills at nigh close to day speeds. Now you’ve seen 14 of the best bike lights from the future that you can buy right now, enjoy the bonus content. 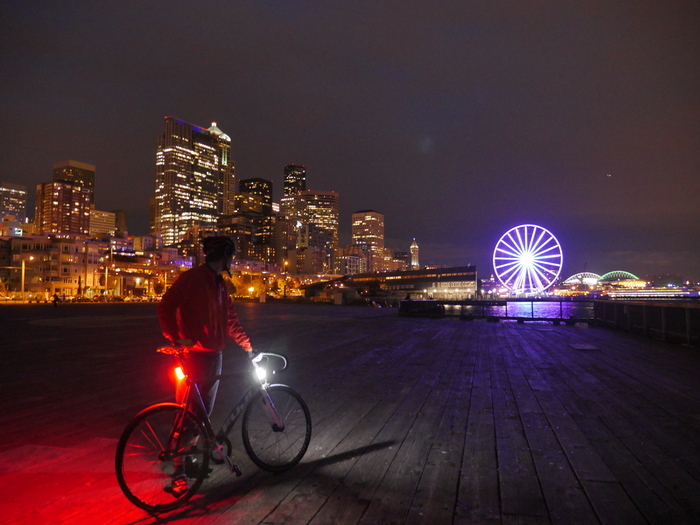 These don’t fit your actual bike light category, but they are insanely cool and showcase some of the creative awesome ways bike riders must come up with in order to compete for attention on their night runs. ….Did we catch them all? 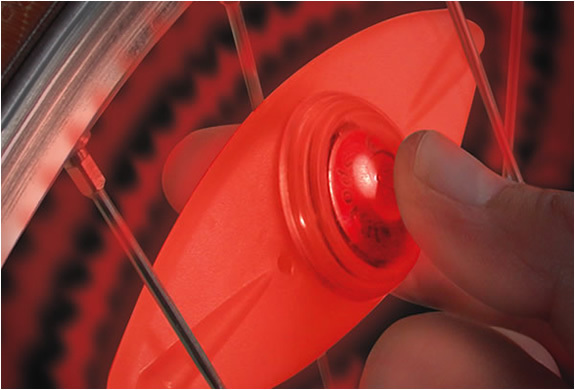 If you know the best bike light for your ride and we missed it let us know!